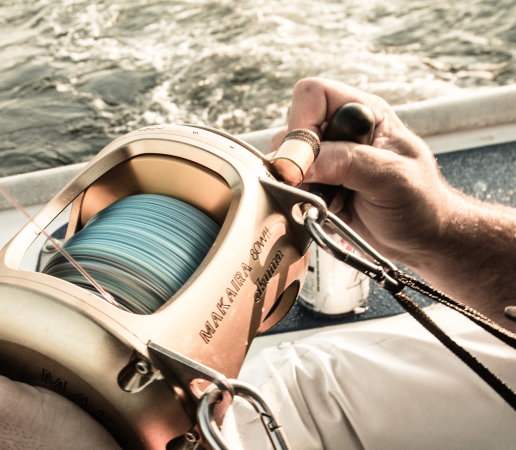 One of the most important but often underutilized components of “good gear” is the drag on your reel. Now I get that most anglers have a basic concept of what it is and how it works and that’s fine for fishing the local stuff. But this year’s different; the amount of big stuff around is staggering and likely to continue to build through the coming months. 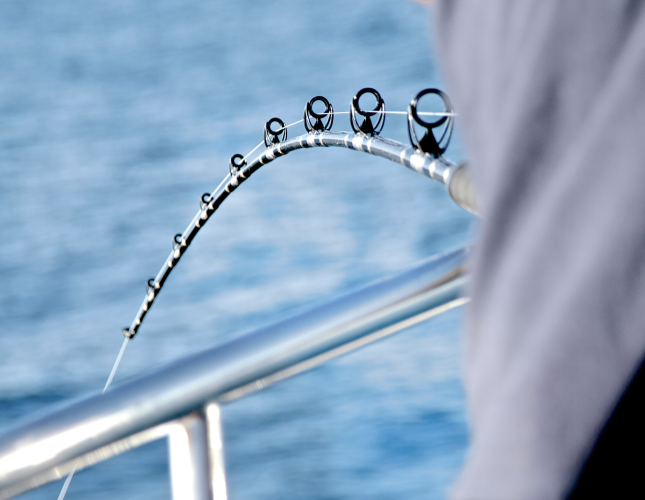 The seasoned, savvy pros will be checking and double checking to make sure their tackle is ready and drags are properly set to do battle with the super-sized tuna we have so readily available; the less experienced would be wise to follow their lead. I humbly recall my first 8-day trip fishing bigger grade tuna from the deck of a long range boat. I already had a tremendous amount of light tackle, private boat experience and was definitely resistant to accepting advice on how they did it. I figured since we had caught plenty of nicer tuna on lighter gear it couldn’t be that much different. Well…I was soon to find out that fishing on the anchor with a good grade of tuna biting and 24 other eager anglers all intent on their personal mission was way different than much of my background. I had a lot to learn. We were set up on the bank outside Alijos Rocks. 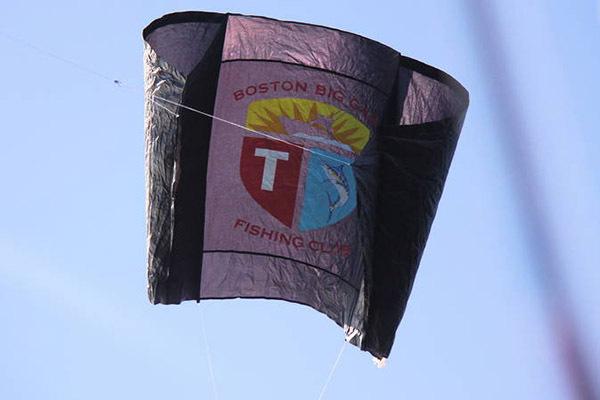 Conditions were perfect, with warm clear water, good current and just enough breeze to get the kite aloft. When I was up, I was eager to learn something different so I got my big rig, tied on a heavy leader and got up top while the crew dug out a mackerel, hooked it on and we sent it out. The whole setup was fascinating; the top deck is a fantastic vantage point to watch the action below. We had steady action on mixed grade 30-75-pound tuna with a healthy dose of big skipjack mixed in to add to the frenzy. So along with keeping tabs on the action on deck I was also focused on my kite bite and it wasn’t too long before there was a crash and a splash and a great boil where my bait had been and I was bit. There was a quick scurry to get down the ladder, get my rod settled in and start pulling and it all went well. The tuna tore off on a long run, went deep and I started pulling hard …or so I thought. The physics don’t lie and are responsible for many broken lines…and broken hearts!!! After about ten minutes the captain came down next to me and said “We need to get some drag on this fish and get it in before you get sawed off in a tangle”. I started to protest thinking it was already tight enough but he backed down the lever on my 30W, made two twists on the preset and then pushed it back to strike. Embarrassingly (but fortunately), while I was hooked up one of our passengers, “Hacksaw Harry” videotaped the whole battle. So I later got to see how my rod belt was too small, my harness too high and the drag was at first way too loose at 15-pounds. And I also got watch the difference going up to 24-pounds of drag made when trying to gain line with each pump as well as the ultimate satisfaction when the gaffs found their target and a 143-pounds of hard-earned yellowfin hit the deck. It’s from that experience as well as so many others of those early on-deck training exercises I was able to slowly get it figured out. 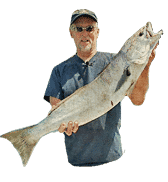 The long range fleet is where you will get schooled on how to really pull hard on trophy fish and those hard earned lessons have been put to good advantage. 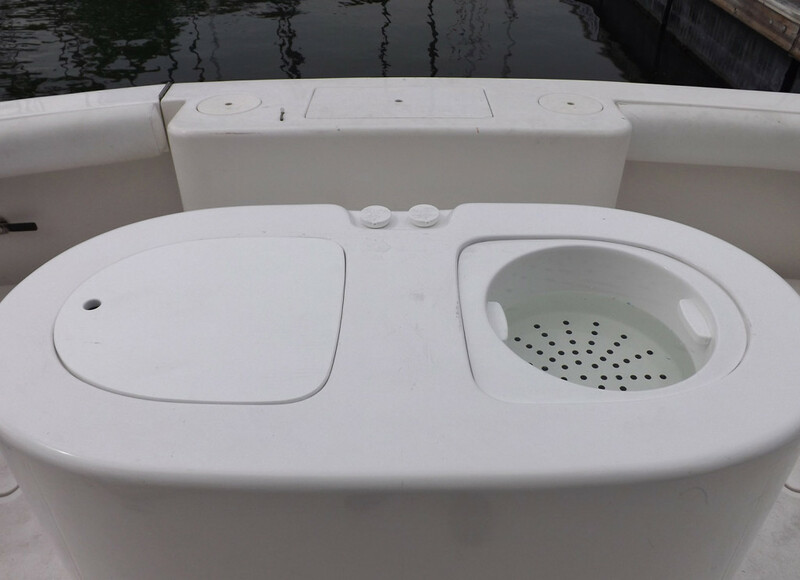 And of course you’ll need a big tank to hold the bait you need to chum up those big, tackle busting tuna. This is our latest model: the PE-150-D.
We’ll fast-forward many seasons to a couple of interesting scenarios from just this year to shed a bit more light on drag settings. Just last week we had customer in the store to order a new bait tank for his new boat. When we finalized those decisions we shifted over to some others equally important…new tackle for his new boat that would handle the bigger tuna around. We were talking two-speeds and specifically about the new Penn Fathom 30LD2 and 40N, two of the hottest reels out right now. He is a relative novice and made the comment the about the 30 being able to achieve 25+pounds of drag and I casually inquired if he really knew what that meant. I got the expected answer, which was “No” so I got out my 40-pound rig, hooked him up to the spring scale and worked on his education a bit. His first job was to pull hard enough to feel the 40-pound was being properly utilized. He bent the rod and adjusted the drag and was shocked to learn the scale only read 6-pounds when he thought he was pulling much harder. With some encouragement and a huge burst of effort he pulled a steady 9 to 10-pounds. He maxed out at 14-pounds with arms quivering and legs shaking and far more understanding about truly pulling on fish. On the last day of May we were fishing inside Clemente just above the 289. The bluefin were up all day, putting on a helluva show, with no reward for our efforts. At the end of the day, starting to troll home, we found one more school of straight tankers. These were the real deal; those 150-200-pounders that have been tearing up tackle ever since. As we trolled past the huge spot of whitewater and frenzied bait fish two giants jumped out right next to the boat …and then the center rod with my favorite cedar plug sent long down the middle got bit. Within a very few seconds it was obvious we had hooked one of those big ones that was intent on changing areas fast. We had a full spool of braid backing that was rapidly disappearing and we were nearly spooled before I got the boat turned and in hot pursuit. Just as we were approaching situation critical my friend, who is new to all this, asked if he should tighten the drag and I answered with an emphatic “NO!! !” Here’s why. 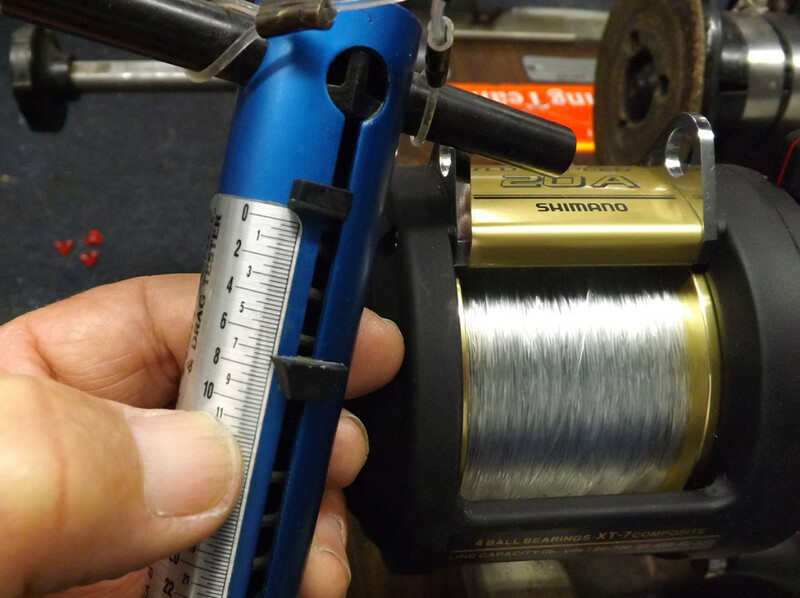 When you set the drag on your reel it is usually done with a full spool of line. We were fishing with the venerable Shimano TLD 20 two speeds, time tested and proven in countless battles. The spools were full, 50-pound topshot, and the drag was set to 16-pounds at strike although we were trolling with less. Once he had the rod out of the rod holder the drag went back up but with plenty of margin for what happened next. For those so inclined here are the actual formulas to compute the drag changes as the spool diameter decreases. 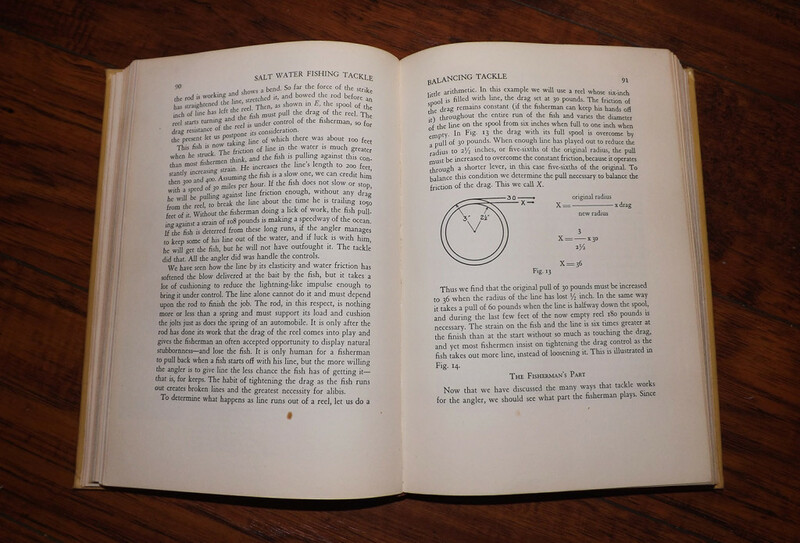 The first edition was written in 1938 and it’s still fascinating to look through it!!! Way back in 1938 Harlan Major wrote a great book, Salt Water Fishing Tackle, an all-time classic and a prized addition to my library of old books on the history of our sport. In it he details how as the line feeds out the spool diameter decreases and with less leverage the drag tension increases. He offers drawings of how it all works and backs it up with the actual mathematical formula if you’re inclined to figure it all out mathematically. The other day at my reel bench I did it a different way. I was loading a brand new TLD 20 II so I took a few actual readings with a scale during the process to illustrate to the point. 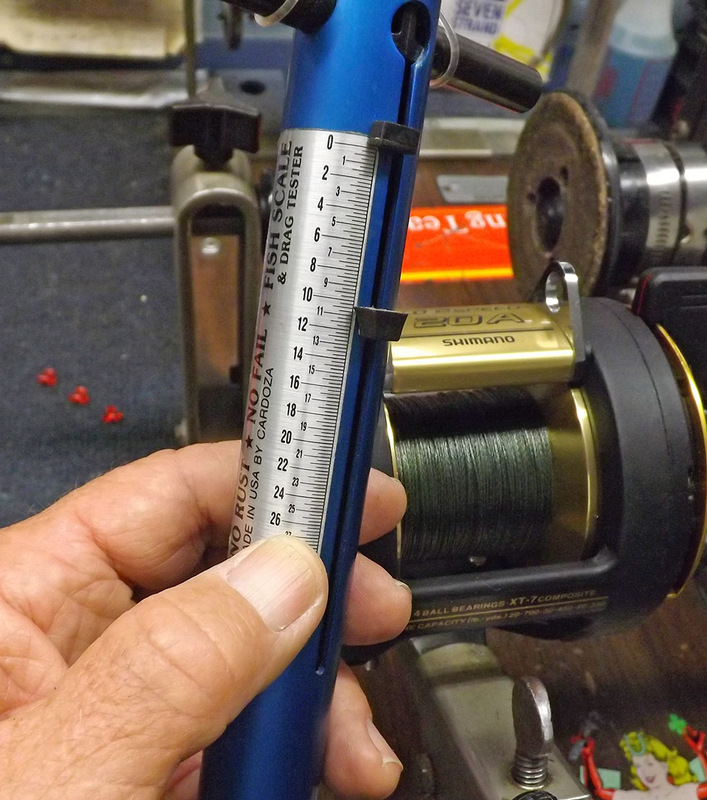 As I first started loading the spool I wrapped the line around my spring scale I use to test drags and pulled hard and got a reading of almost 20-pounds on the nearly empty spool. Then I cranked on a bunch of braid and checked again at about the half full mark and got 10-pounds. Then I finished with the braid, tied on the mono topshot, filled the reel the rest of the way and tested again to get 7-pounds of drag. From 7 pounds with a full spool to 20+ when nearly empty is a huge difference. The difference on this reel with these dimensions would basically triple the drag tension as you were getting spooled. So if you started with 16-pounds of drag with just the physics involved you’re nearly breaking a 50-pound topshot. Add in some loss in strength for the knots as well as the drag from all the line in the water and it’s obvious why tightening an already properly set drag is just about the opposite of what should be done. It’s why so many fish are lost when there is too much line in the water. 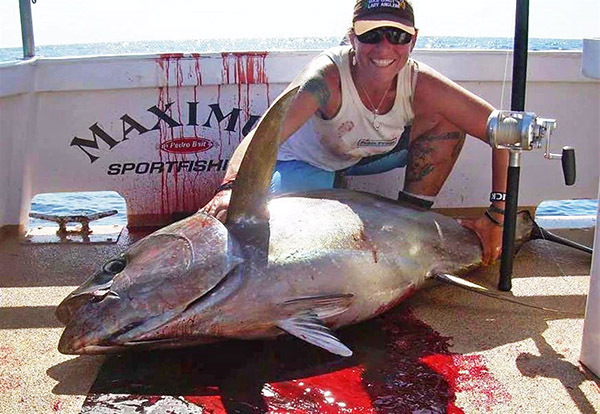 Erica Brandt with a big tuna. Just this past weekend the first bluefin over 200-pounds was landed to cap off an incredible week. There are big quantities of that big bft around now with the likelihood of giant yellowfin showing a bit later in the season. There is also the distinct possibility of our long-gone huge bigeye tuna showing up again. 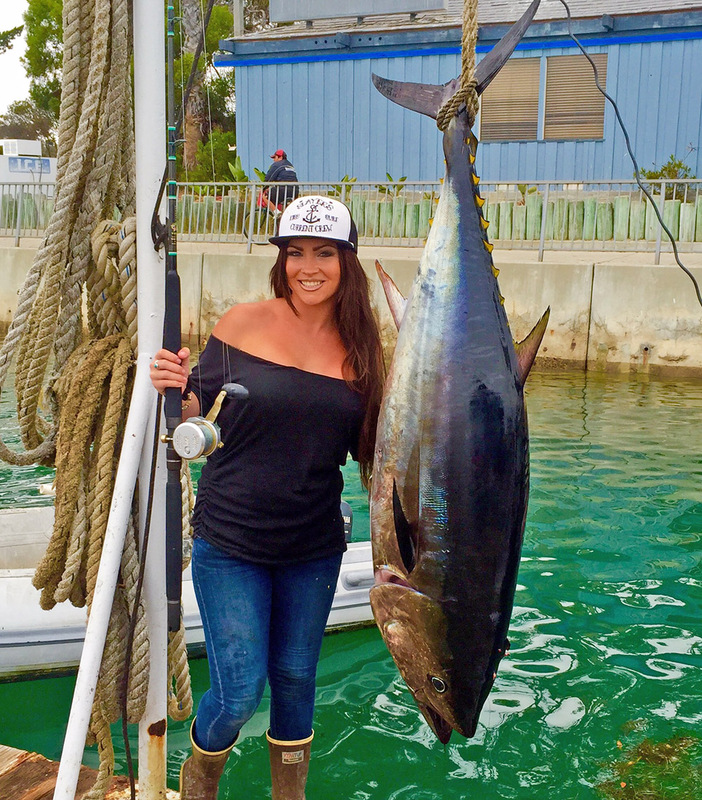 All of these tuna can easily pass that coveted 200-pound mark and it’s the smart anglers with the best gear and their drags set properly that stand a chance to make the grade on the trophy of a lifetime.